SHOOTING- Gurpreet Singh won a silver medal in the senior men’s standard pistol event in the ISSF World Championships on Friday while juniors continued their golden run by adding two more gold medals. Vijayveer Sidhu, 16, shot a gold in the 25m standard pistol event for junior men and later teamed with Rajkanwar Singh Sandhu and Adarsh Singh to win the team gold. India finished with 27 medals including 11 gold, nine silver and seven bronze. This is India’s best performance in the meet so far. India won two Olympic quota places from the first qualifying event for Tokyo 2020 Games. 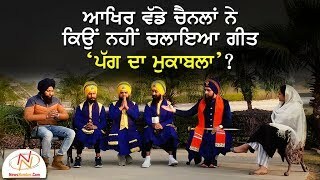 ਹੈਂਡਬਾਲ ਖਿਡਾਰੀਆਂ ਨੇ ਪੰਜਾਬ ਰਾਜ ਖੇਡਾਂ 'ਚ ਪ੍ਰਾਪਤ ਕੀਤਾ ਚਾਂਦੀ ਦਾ ਮੈਡਲ.!!!! 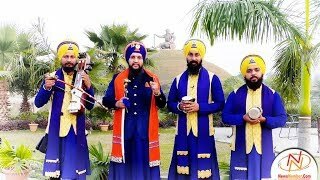 ਤਾਈਕਵਾਂਡੋ ਮੁਕਾਬਲਿਆਂ 'ਚੋਂ ਅਨਮੋਲ ਪ੍ਰੀਤ ਨੇ ਜਿੱਤਿਆ ਸਿਲਵਰ ਮੈਡਲ..! !